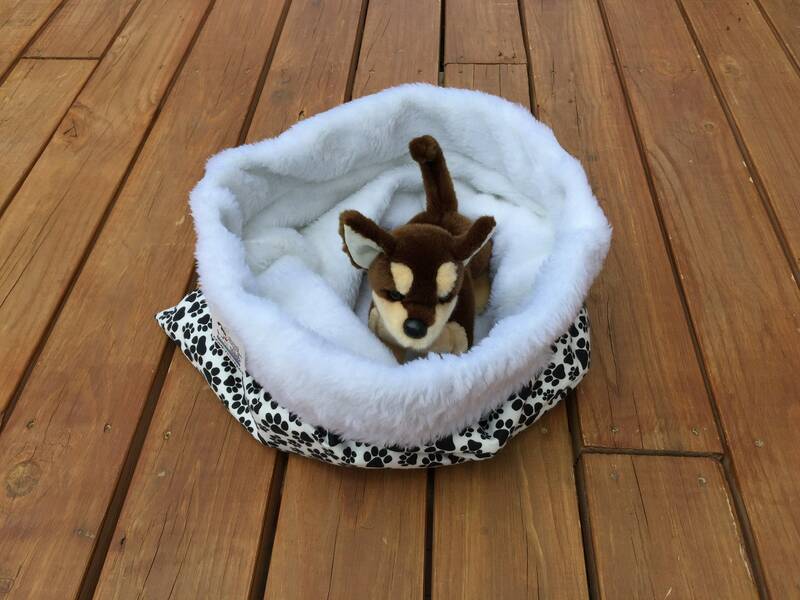 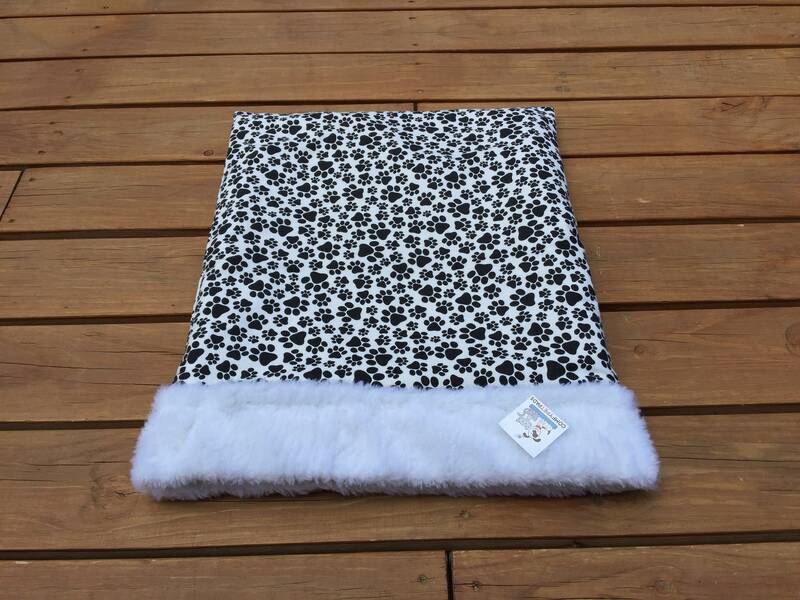 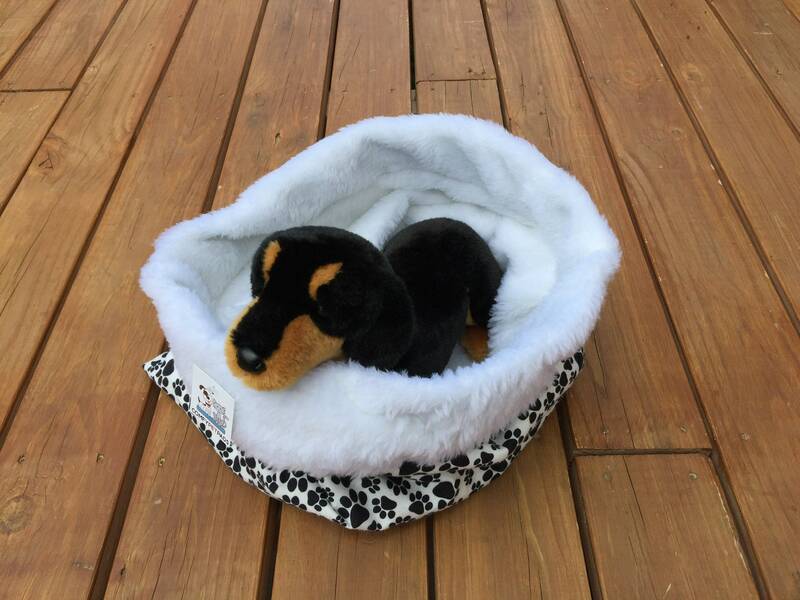 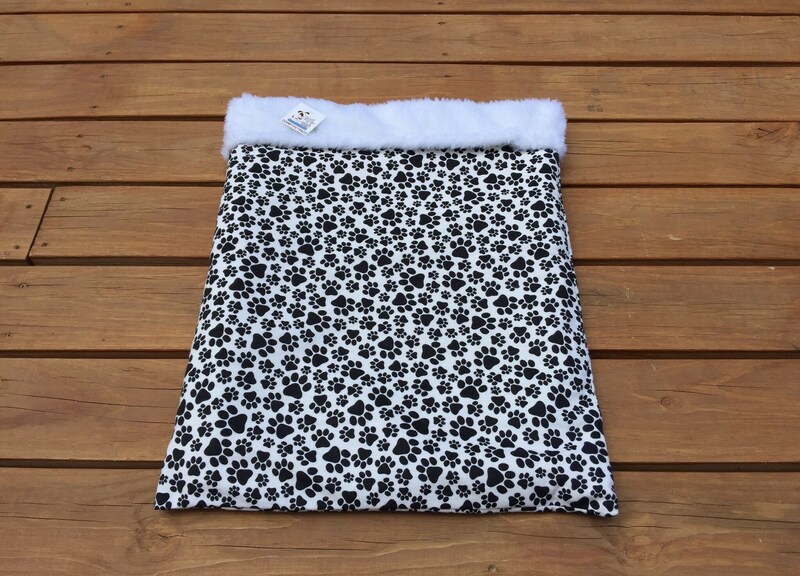 A white with black paw print Snuggle Sack lined with a wonder soft Cubby Faux Fur will surely keep your pet warm. 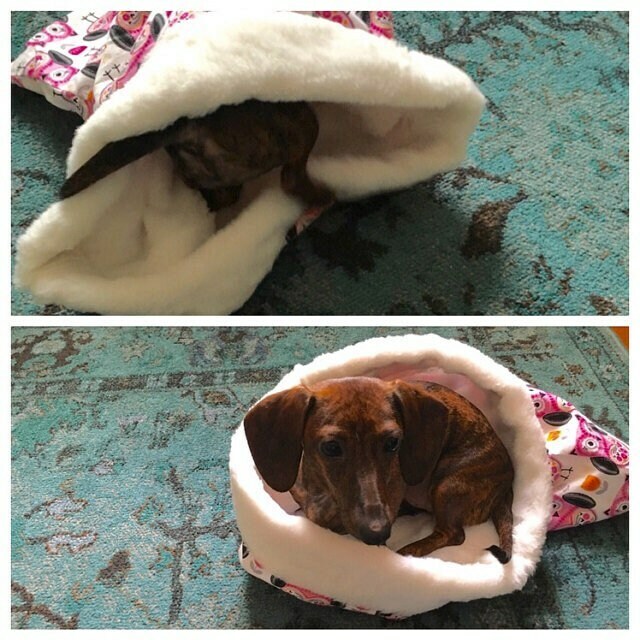 If your pet loves to borrow and snuggle up, then he/she will love their Comfy Pet Pads snuggle burrow bed sack. 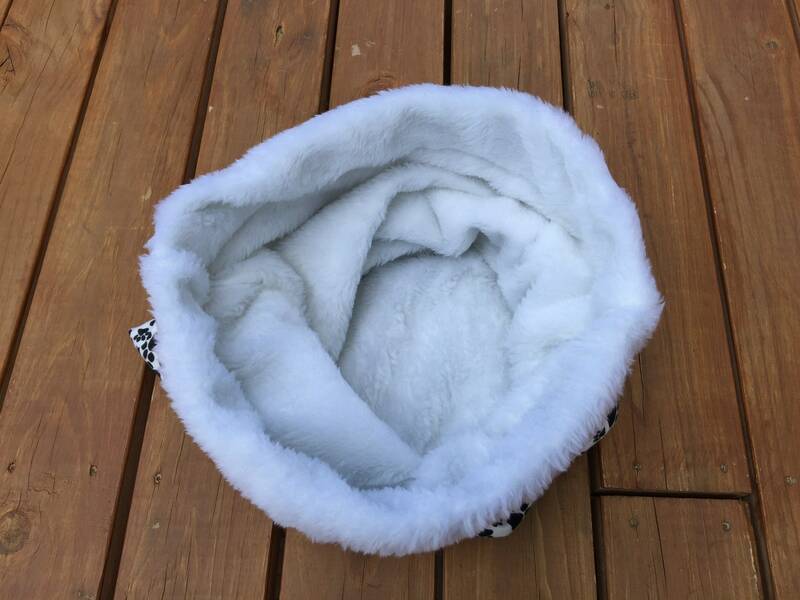 Snuggle sacks are a perfect cozy way for your cat to stay warm and to feel secure in. 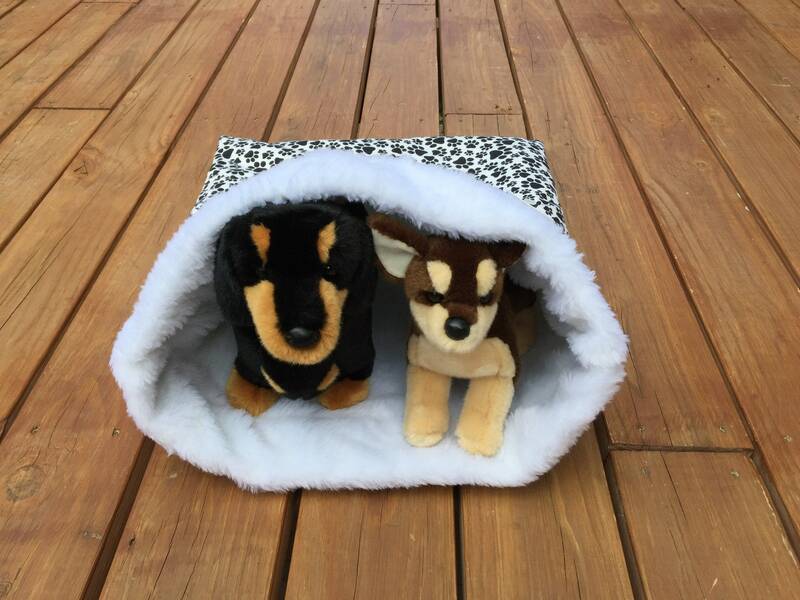 Let them cuddle up in their own cat cave. 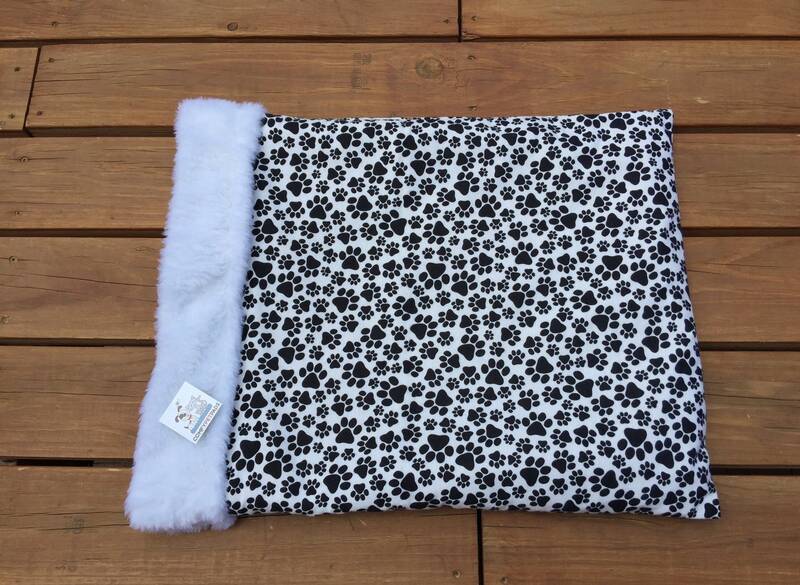 Cats and dogs love to burrow and make their bed a den to sleep and cuddle bags make the perfect place for your kitty to stay warm in. 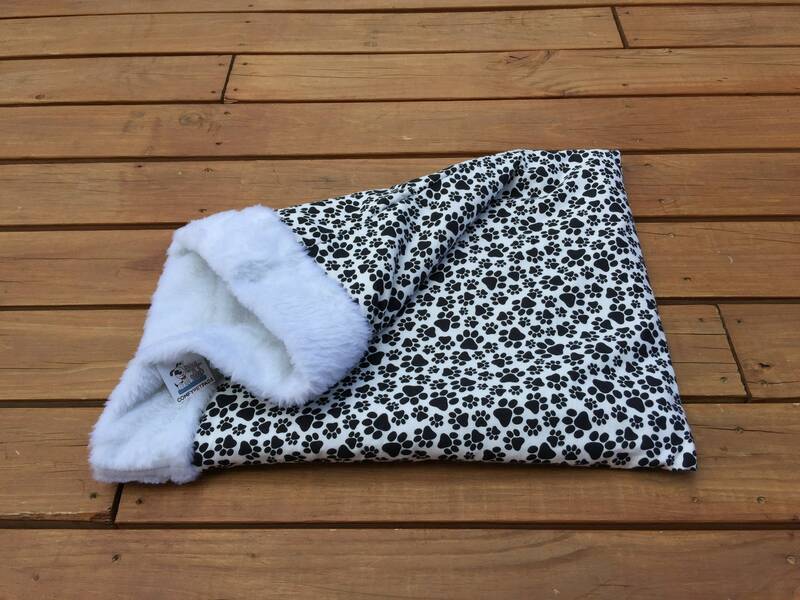 This Snuggle Sack is made of flannel and White Davos Faux Fur which gives the look that is genuine and helps create a delicate appearance and a feel that is cuddly soft. 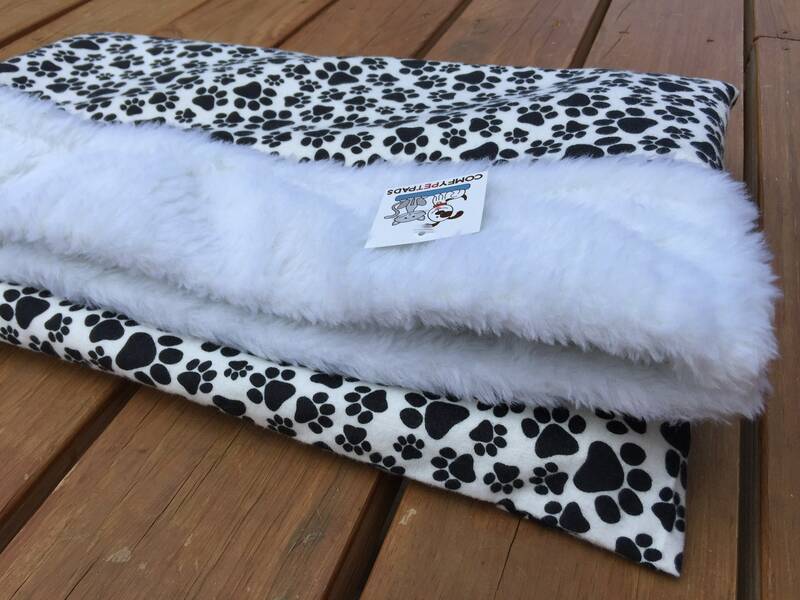 Machine washable on cold water and tumble dry on low heat.